The décolletage is often one of the most neglected areas of the body. While we put a great deal of energy to protect our complexions, as a fact-the chest area is overlooked until it is too late. As the skin on the chest is thin and lacks the oil glands that keep the face smooth, sun spots and lines on the décolletage can appear very quickly. One of the most noticeable, and frustrating, signs of ageing is lines on the neck. So-called 'necklace lines, they can appear at any age and can be incredibly difficult to remove. Wrinkles and fine lines are one of the most visible signs of ageing. They are caused by the breakdown of collagen and elastin in the skin. Avologi's medical devices light-based treatments diminish the appearance of lines and wrinkles on the neck & décolletage by regenerating collagen and elastin in the dermis layer. 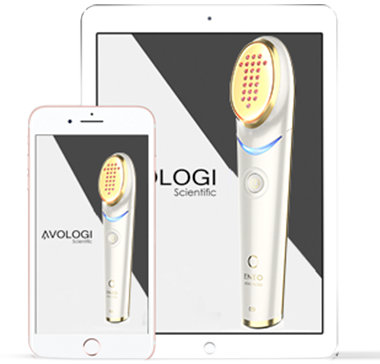 Avologi's medical devices are FDA cleared, non-invasive and effective starting the first treatment.